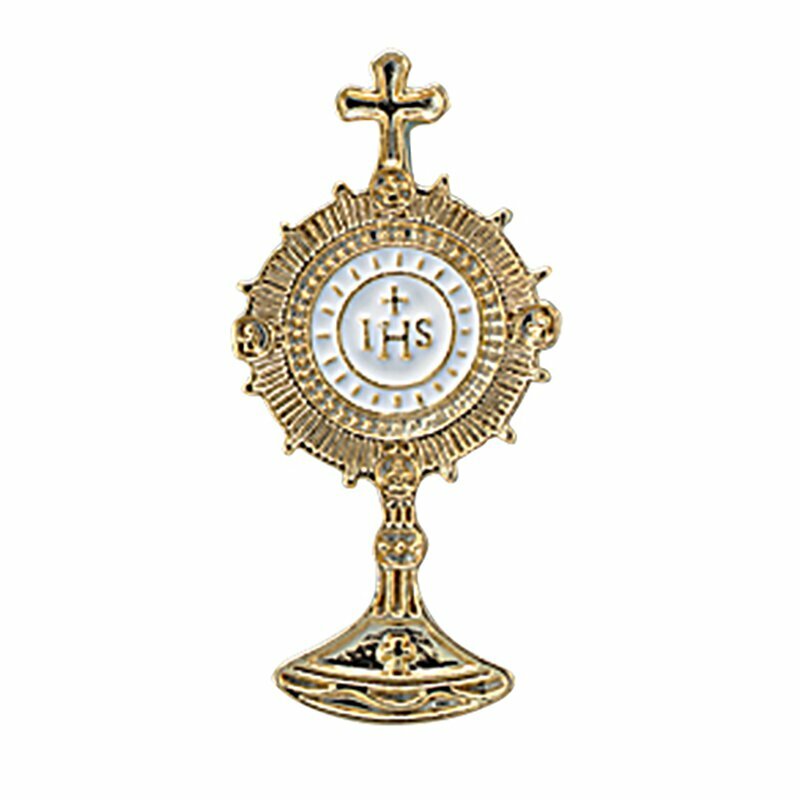 Our lapel pins are perfectly priced to hand out during religious gatherings and sacramental celebrations. Each pin contains full-color enamel, comes with a clutch back and is carded for easy handling. Our Parish is blessed to have a Perpetual Eucharistic Adoration Chapel. As a special gift to all of our Adorers, we purchased one for each Adorer. The price is very reasonable and the quality is 5+ stars.